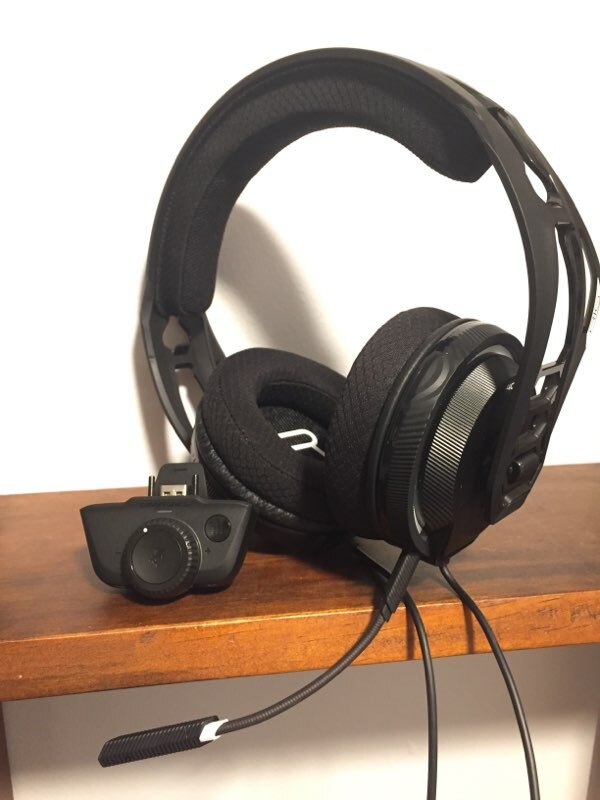 At this years PEPCOM Holiday Spectacular I was given the opportunity to review a new headset out of the new line of sets by Plantronics called RIG. Gaming headsets are flooding the market as competitive gaming becomes more and more popular. The competition is heating up as companies try to innovate, and Plantronics has made some significant changes that gamers should be excited to get their hands on. Ultimately, however, some concessions have been made that take away from the experience altogether. The first thing you should know about this headset is that it is 100% Dolby ATMOS enabled, and actually comes with this “in package”. No need to purchase anything extra to get this incredible audio experience. For those that don’t know what ATMOS is, it is basically this: ATMOS simulates sounds not only on a x axis but also the y. In other words – sounds sound like they are coming from above or below. A full range of sounds. Bullets sound like they whiz by your head. You hear footsteps that actually sound like they are above your head. It is truly a remarkable feat when it comes to sound engineering. But the thing is – this headset has nothing to do with ATMOS. You can use nearly any headset to get the same experience. This headset, however, does have some incredibly crisp audio. I currently bounce between different headsets and the RIG-400 is by far the highest quality as far as pure sound goes. Highs are sharp and clear and the lows are full of bass and full of punch. You really cannot get a more clear picture of sound. What is picture of sound? I don’t know. I just made it up, but it feels the right way to describe it. The biggest downside to this headset is the microphone. It is a very short stem that stick out from the ear piece and can’t really reach your mouth for clarity. I have had mulitple complaints about my audio quality from my teammates on Destiny 2 and even in Skype chats. I had to switch to my podcasting mic so that I was heard clearly. This headset is very light on your head, which is nice, but the lightweight plastic also creeks a lot. Every head turn or tap on the chord connecting you to the amp on the X-Box One controller comes through in your ears. It can ruin some of the audio that these headsets emit in such quality. One of the niftiest features in the aforementioned amp that snaps into the bottom of the X-Box One controller. 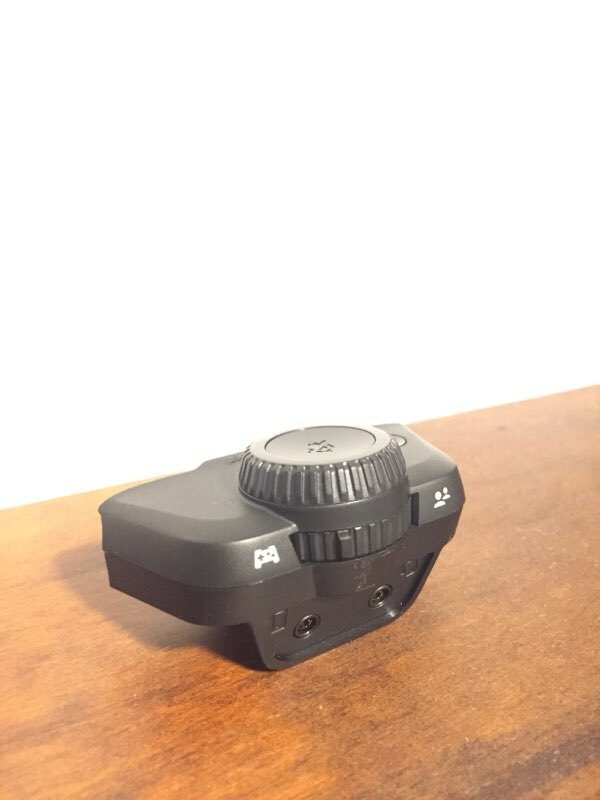 The dial is easily accessed with your thumb, which allows you to adjust on the fly very easily. There is a little switch that can let you adjust in-game audio or chat audio as well. 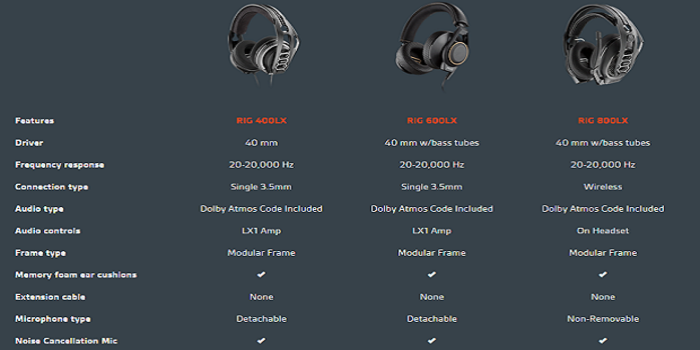 Overall, if you are looking for a new headset to buy this holiday season, the Plantronics RIG series may be a good option. The 400 LX is a bargain at $49.99, as well. If you rely heavily on using the microphone on your headset, however, you may want to look elsewhere or invest in Plantronics higher quality sets. Proven Gamer was given a RIG-400 LX1 for review.